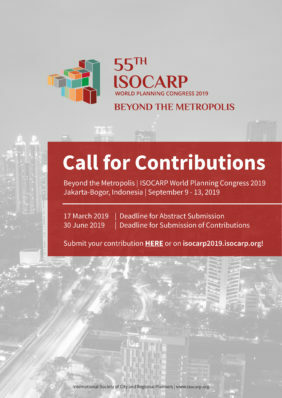 Please read the Call for Contributions and submit your abstract(s) to one of the following categories before the deadline, 17th of March, 2019. The paper will be included in the Congress Proceedings with an ISBN number (only for registered authors attending the conference). A note about the extent to which the work is (or is not) generally applicable. Abstract (and paper if submitted) will be included in the Congress Proceedings. A stand-alone or ‘side event’ linked to one of the Tracks and entirely focused on a specific topic or objective, such as a training session, a hackathon, a workshop, etc. Formats other than the traditional presentations are encouraged, including point/counterpoint, single speaker, moderated debate, interactive workshops, roundtables etc. Sessions will be 90 minutes long. The Congress Team will select the best 2-3 proposal per Track. Proposals from people who also submitted other contributions are welcome. Maximum 50 words synopsis is obligatory. Do not submit the same abstract to several tracks. Note: There will be limited availability of time slots for session proposals and panel discussions. Only the best ones will be selected.